Choosing to purchase organic pet products for your Miniature Schnauzer is becoming more and more popular as conscientious pet owners want to go green. And it's not that hard to do. Why? Because environmentally friendly recycled and organic pet products are plentiful, ready for you to use everyday. So they are good for your Miniature Schnauzer and Mother Earth, too. Organic products are items made without pesticides and other harsh chemicals. 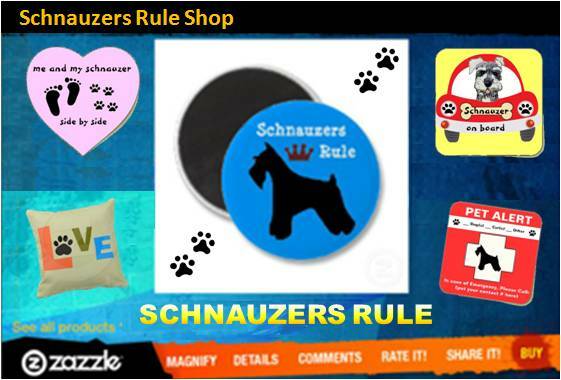 That makes organic pet products better for your Miniature Schnauzer. And using products made from recycled materials decreases the amount of waste going into our landfills. You not only feel good about providing your Miniature Schnauzer with organic wholesome foods and natural products, you're also doing your part to help the environment in which we live. Below are just a few of the great green pet products you can use everyday to help our planet and provide comfort to your Miniature Schnauzer. Earthdog Hemp Dog Blankets: The perfect marriage of durable colorful hemp canvas and soft sumptuous recycled fleece. Hemp blankets are incredibly soft, durable and easy to care for. Just toss them in the machine and tumble dry low. Earthdog Decorative Hemp Leashes: These leashes feature triple-layer 100% hemp canvas construction with the unmatchable comfort of hemp. Using the highest quality snap-hooks that combine safety with ease. Earthdog Hemp Dog Beds: These comfortable beds are constructed with a 100% hemp canvas shell. The removable washable inner bags are 100% unbleached cotton and stuffed with a mixture of recycled poly-cotton and scrap foam. Earthdog Decorative Hemp Harness: These harnesses are manufactured from 100% hemp webbing with distinctive trims accenting the back. Unlike nylon and other synthetics hemp softens with wear making these harnesses the most comfortable available for your do. Rescue Greeting Cards: Beautiful rescue-themed cards are two series of greeting cards inspired by canine rescue. Each set features 4 rescued dogs who are now in a happy home (and a part of the EarthDog family). The back of each card includes the EarthDog spay neuter message along with the story of each dog rescued. Read this article to get more eco-friendly pet tips so you can contribute to saving Mother Earth! Natural grooming products are all the rage, as more and more pet owners support GOING GREEN by buying pet products that are safer, higher in quality, and friendlier towards our environment. All natural dog care supplies, including vitamins, supplements, premium dog food, flea control and more!